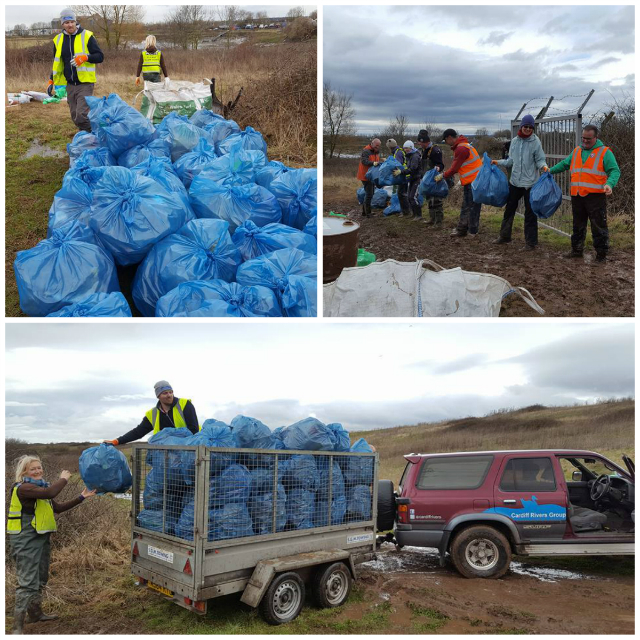 Over 50 volunteers gave up their Easter Saturday morning to tackle just one bend on the River Rhymney where thousands of plastic bottles and lots of other waste had been washed up. But in less than 2 hours, the CRG litter locusts completely cleared the area! It was easily our biggest haul of rubbish yet. 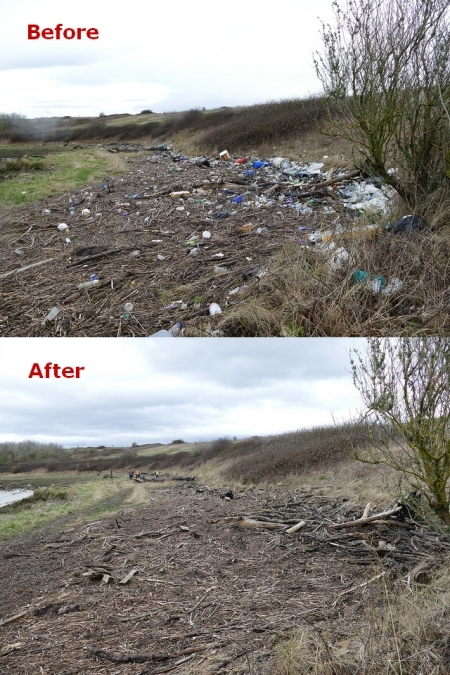 In total 10 trailer loads were removed from the river bank, avoiding considerable pollution, especially from containers of engine oil and building-site crash bags full of polystyrene (the long green bags you see in the photos). All waste was ferried back to Lamby Way for recycling or safe disposal by Cardiff Council. 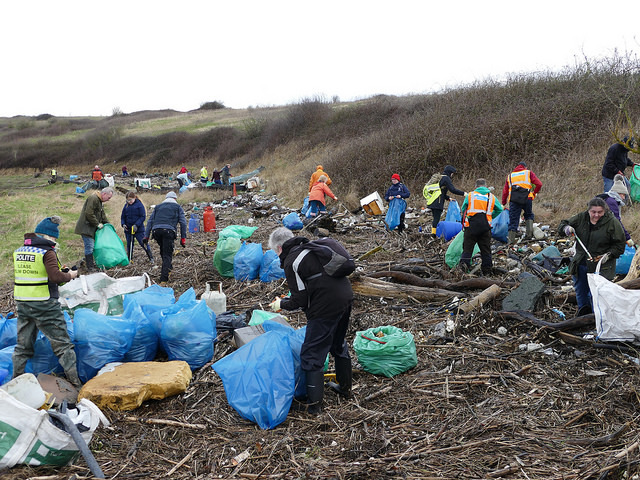 Thanks to Natural Resources Wales who bought us some new litter-picking kit — just in time! And what a difference the team made!